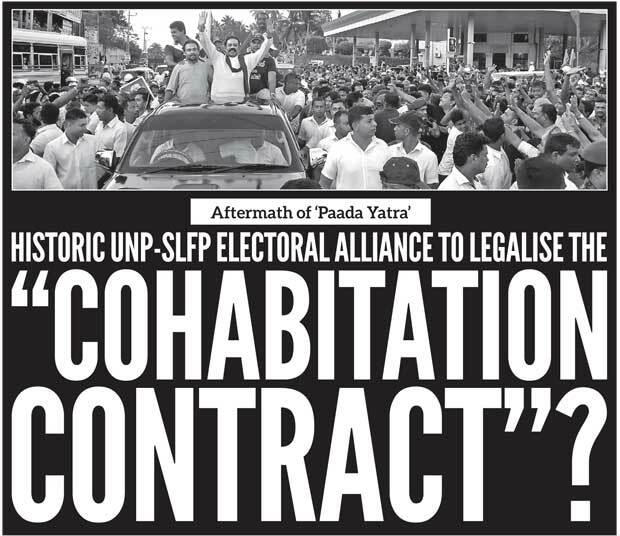 The panic created within the Unity Regime on hearing the news of Padayatra led to an extension of the Maithri-Ranil temporary ‘Two-year Living-together’ to a full five-year term. 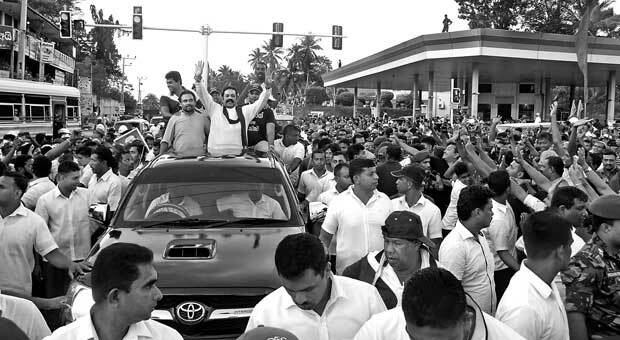 The bond of proposed relationship did not end there; though there weren’t millions as claimed, Joint Opposition was able to muster a sizeable mass of party men and a fair amount of public sympathy at the five-day march from Kandy to Colombo. The successful show of strengths by the Sri Lanka Freedom Party rebellious marchers compelled the UPFA national list Ministers Guild to get busy making undercurrent moves for further strengthening the ‘unity’ in a proposal to affix a ‘Legalised Matrimonial Bond’ on the lines of a ‘Polls Alliance’ with the powerful UNP, as a precaution against a tough competition and a possible defeat at the hands of a new party under a MR-led JO. 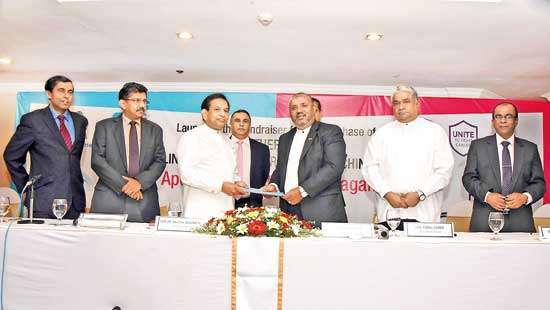 A resultant exposure could prove disastrous to the Maithri-led faction at the unusually procrastinated Local Government Elections now scheduled to be held in March 2017. The MR faction’s hasty attempt to get rid of the unity government, a valiant effort though, has brought the two governing parties much closer than ever before. Now, at a time it is tackling the most contentious issues, they are contemplating, of solemnization of the ‘marriage’. Joint Opposition, of which most members face criminal allegations of corruption and are under probe were able to achieve in maintaining the support of a considerable section of SLFP hierarchy; and a huge share of the rank and file. Close associates have influenced President Sirisena on the need to act fast and consolidate his hold over the party as its leader. The MS faction knows that if the JO contest separately and win a comparatively higher percentage of votes, how injurious it could be to their reputation. 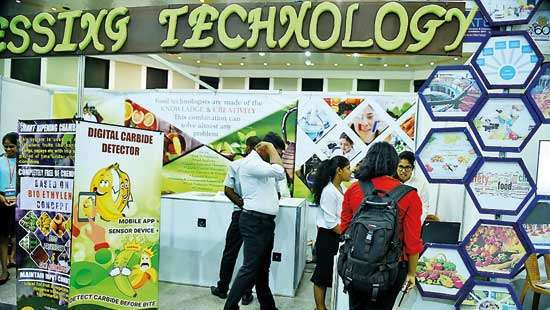 The dream of Mahinda Rajapakse and his corrupt coterie of family and non-family members for a speedy return to power was dealt a blow by the Sirisena-Wickremesinghe alliance when they decided to stretch the phase of their ‘marriage’ to five years from the initial two years. However, the Paada Yatra, though created road congestion and public nuisance, people witnessed a different attitude of the public during the 5-day walk -- they welcomed the campaign in the midst of the escalating cost of living, corrupt deals and Govt ministers craving for unprecedented and unreasonable perquisites at the expense of the common folk of the country. Lipton Circus, according to eye-witnesses, after all the marchers reached the venue, saw the largest crowd to assemble at that location in recent years. The unity government made a mess of the way they tackled this protest. 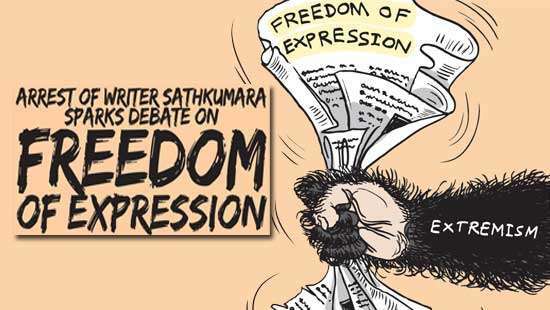 The best possible propaganda, the ‘Janasatana’ march received was from the government ranks when they held a record number of media conferences to ridicule the organizers apart from generating news by the police who sought legal remedies to block the show through every Magistrate Court in the vicinity from Kandy to Colombo but proved unsuccessful. Colombo Municipal Commissioner’s ludicrous behavior at Hyde Park added insult to the injury. They all made it apparent that they were in a blind panic about the Paadayatra and its achievements. They say if something blinds you to the actual situation, it prevents you from grasping the reality or perceptive to it appropriately. The hushed up UNP membership drives in Kandy, Mawanella and along the route in parallel to the march failed too at the respective Courts. The walk vended its way, in spite of various labours to obstruct its advancement.
" The dream of Mahinda Rajapakse and his corrupt coterie of family and non-family members for a speedy return to power was dealt with a blow by the Sirisena-Wickremesinghe alliance when they decided to stretch the phase of their ‘marriage’ to five years from the initial two years "
The dethroned King yet enjoys a substantial public, following in addition to vast support within the Sri Lanka Freedom Party. The usual bid to generate natural public protest comes towards the latter part of a rule’s term of office when the people are clamouring for a change. But within one and-a-half years to evoke an interest in people’s mind to remove from power a government is an impossible exercise; but the MR faction achieved a lot by consolidating loyalties of the majority of the rank and file in SLFP against the official leadership who control its affairs. MR, like the magician Prospero, has raised a ‘tempest’ causing those controlling the party to believe they are ‘shipwrecked and marooned’. The official SLFP, today, like Trinculo, the jester in King Alonso’s Court, may perhaps be contemplating a cover under UNP’s gabardine, ‘Oh, here comes the storm…the best thing to do is crawl under his cloak. There’s no other shelter around here. In emergencies you meet the strangest folks. I’ll just stay here till the storm passes’.